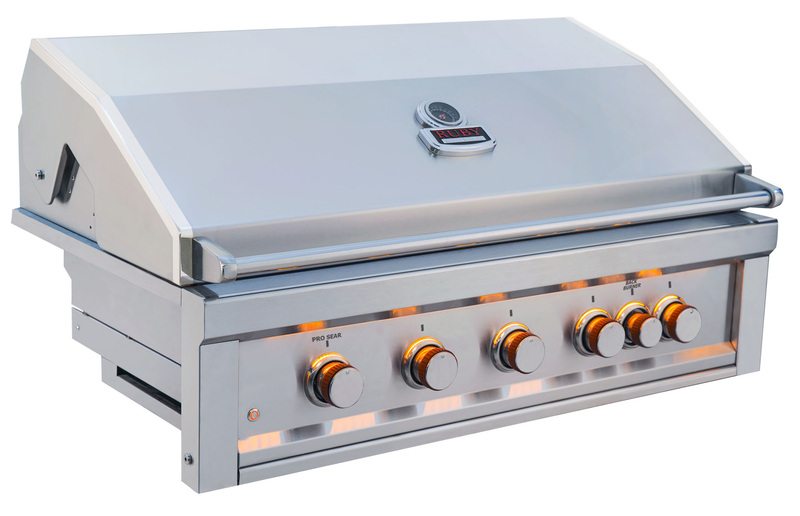 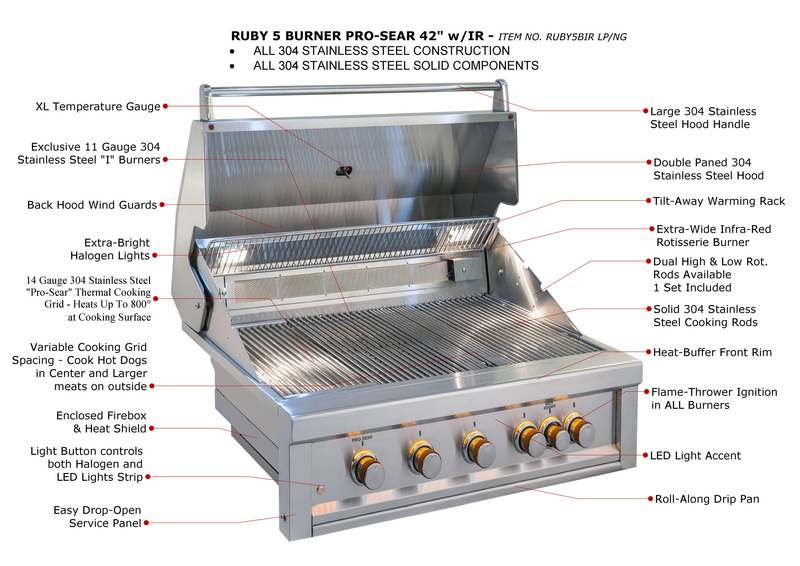 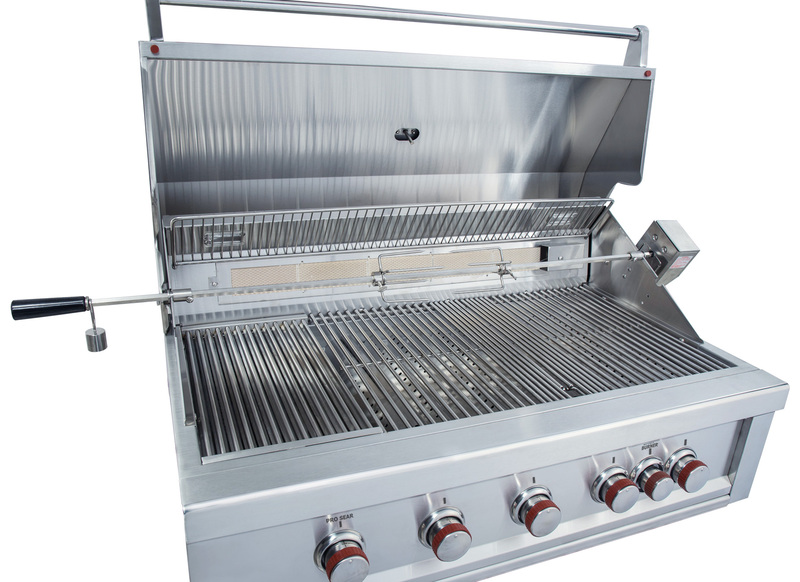 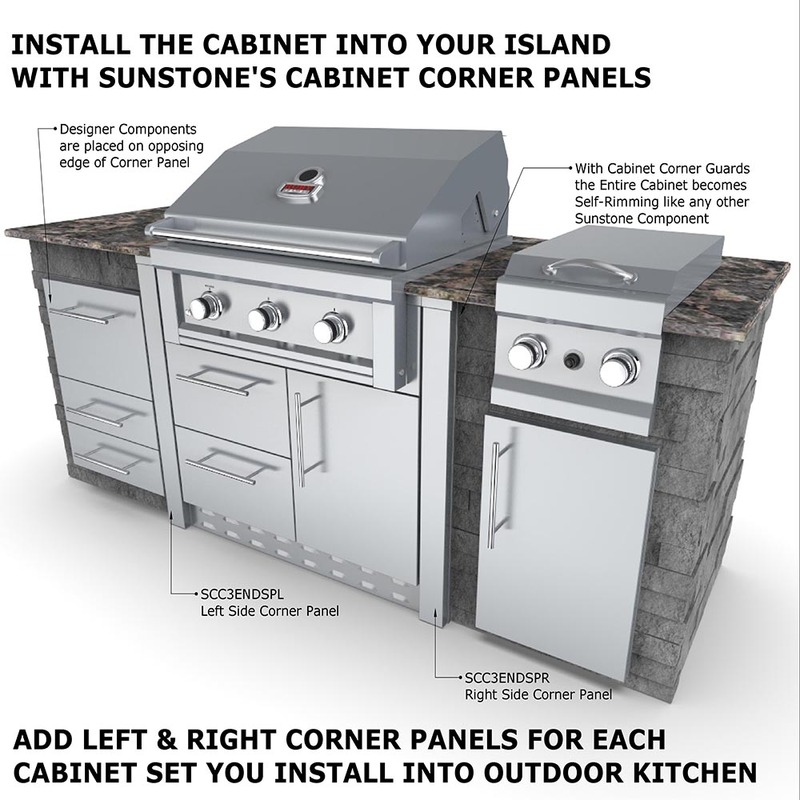 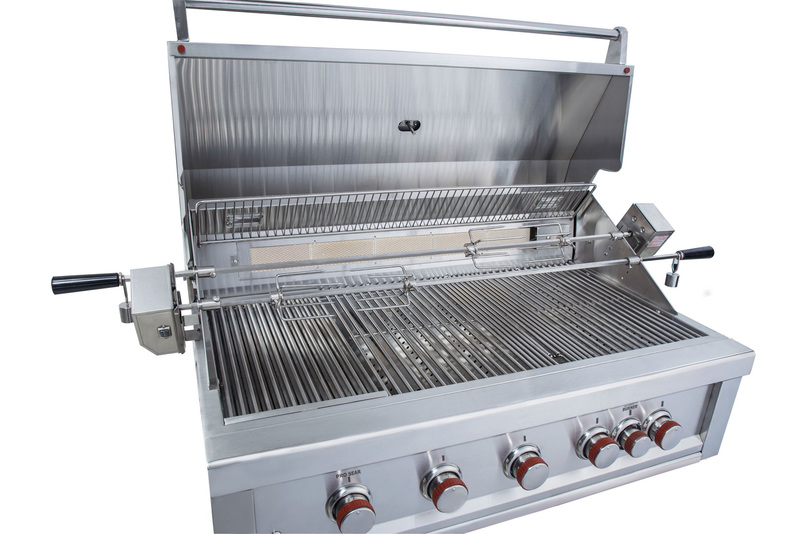 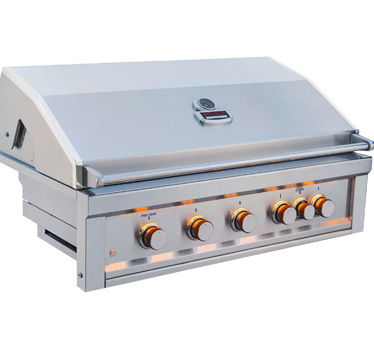 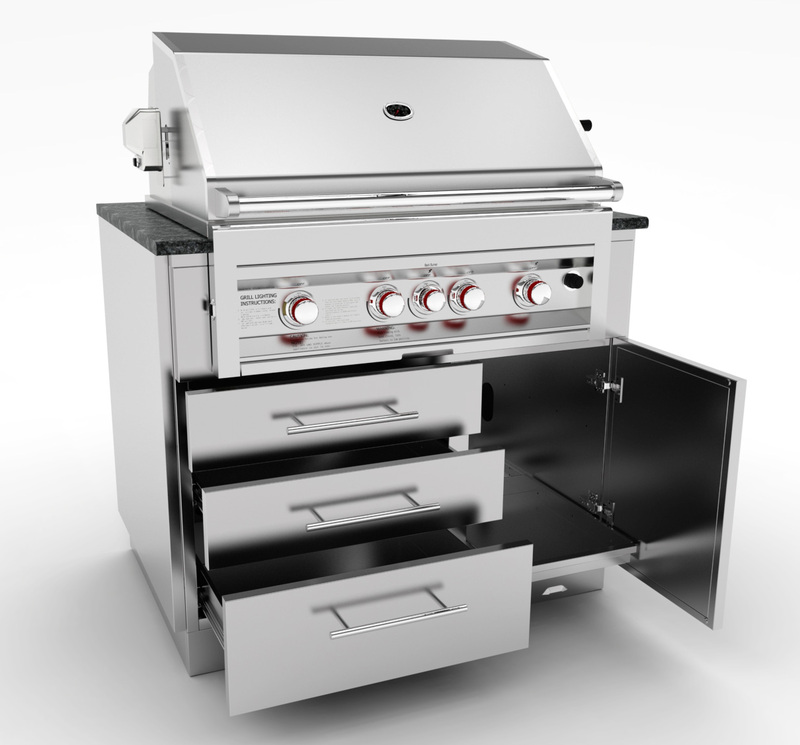 Ruby Series, by Sunstone – Pro Sear 5 Burner grill with Infra-Red Burner & Rotisserie is the Pinnacle of Grills, built with ALL 304 grade stainless steel construction, seamless edging, and eye catching features. 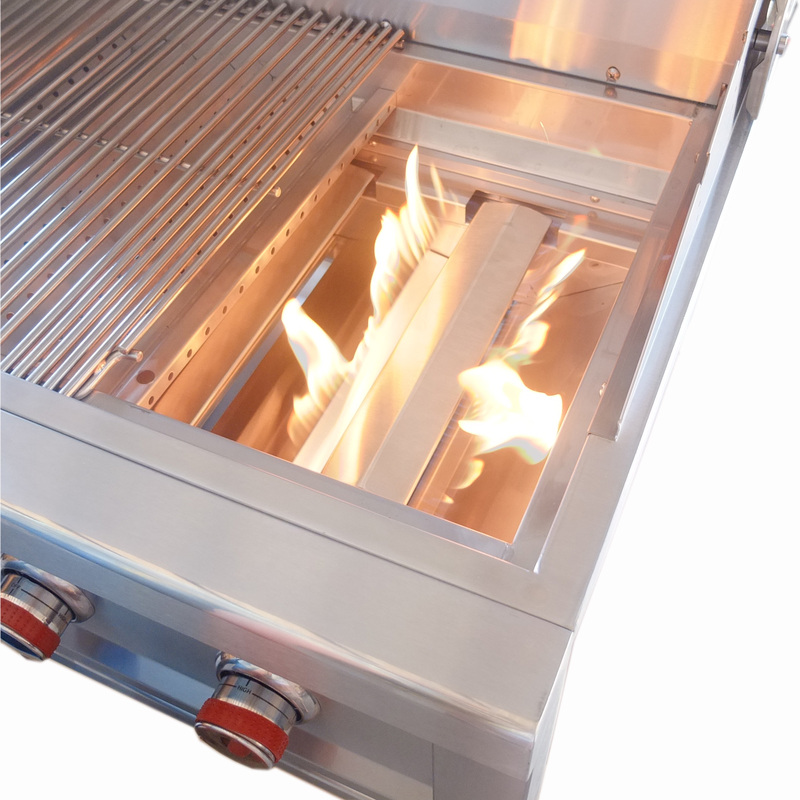 Exclusive ALL 304 SS Fabricated I-Burners with a minimal BTU output of 75,000 and an additional 15,000 BTU Extra-Wide Rotisserie Back Burner all with integrated Flame-Thrower Ignition in ALL burner positions. 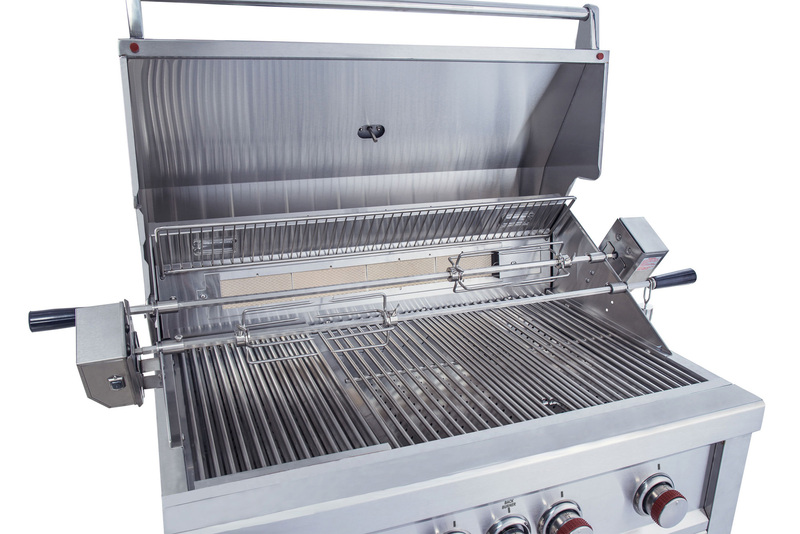 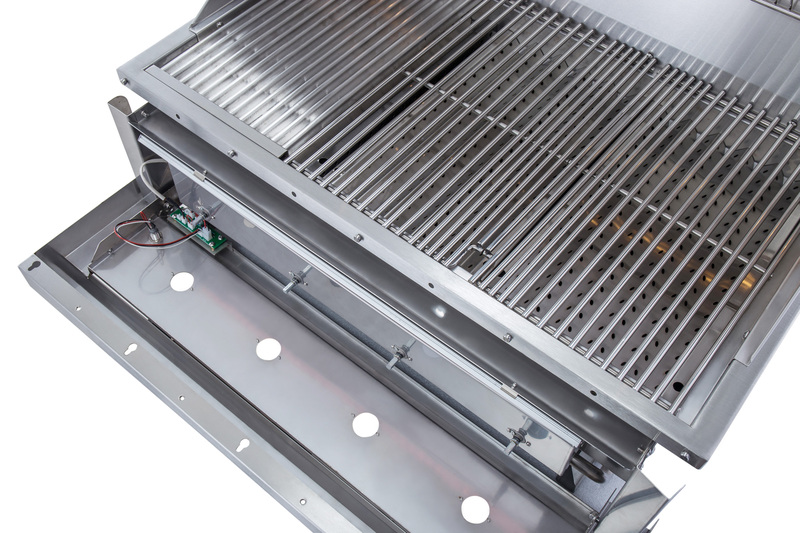 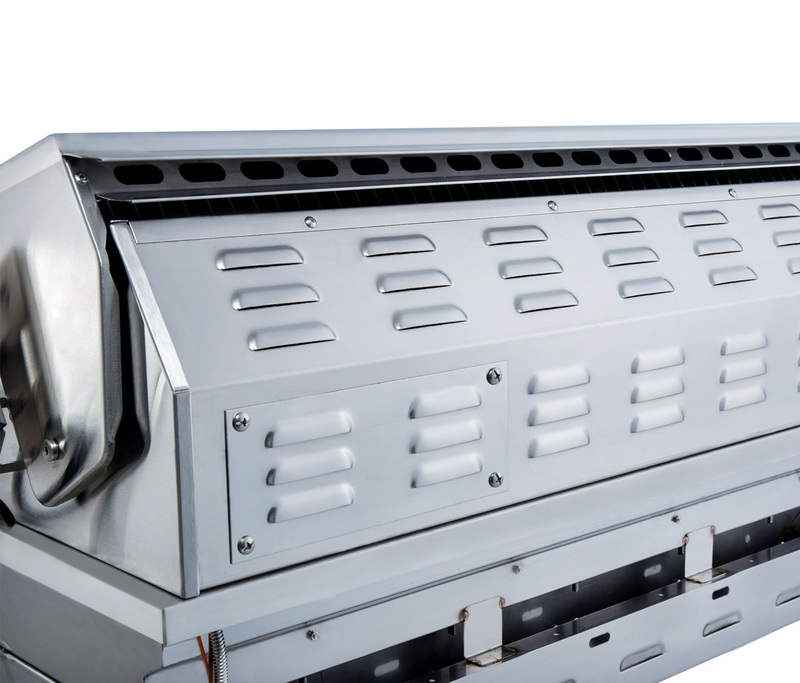 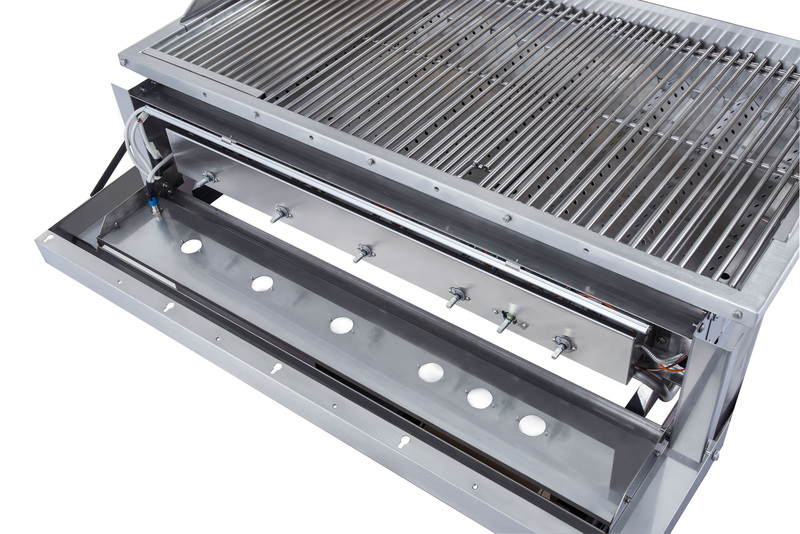 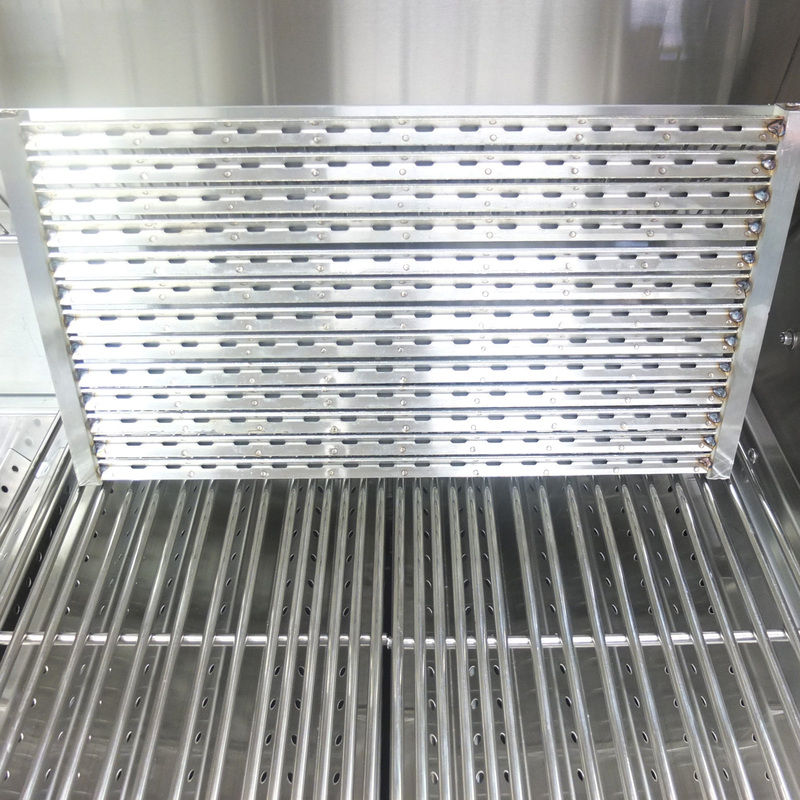 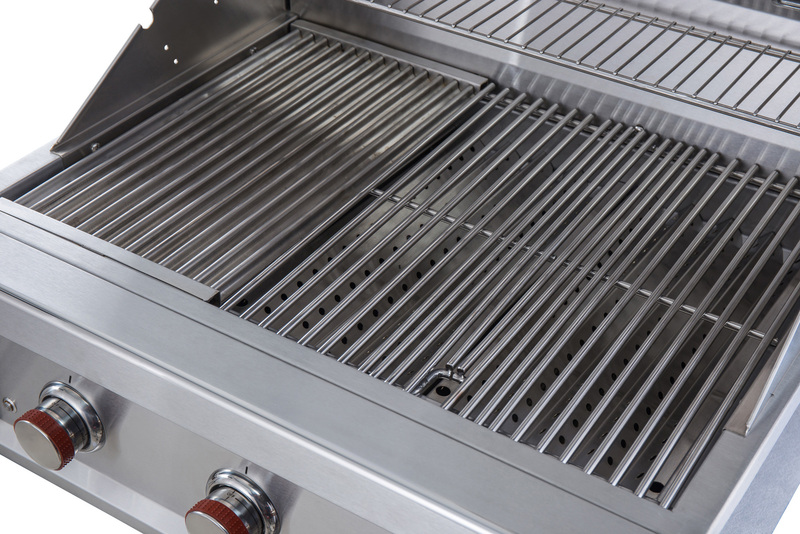 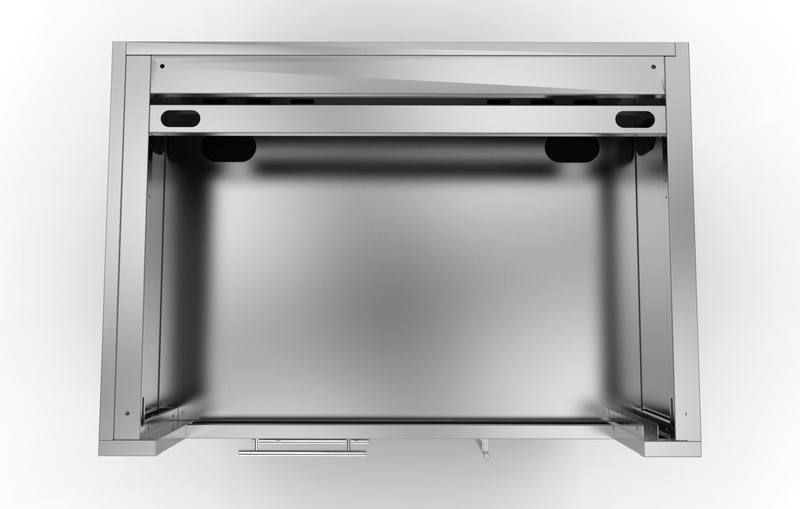 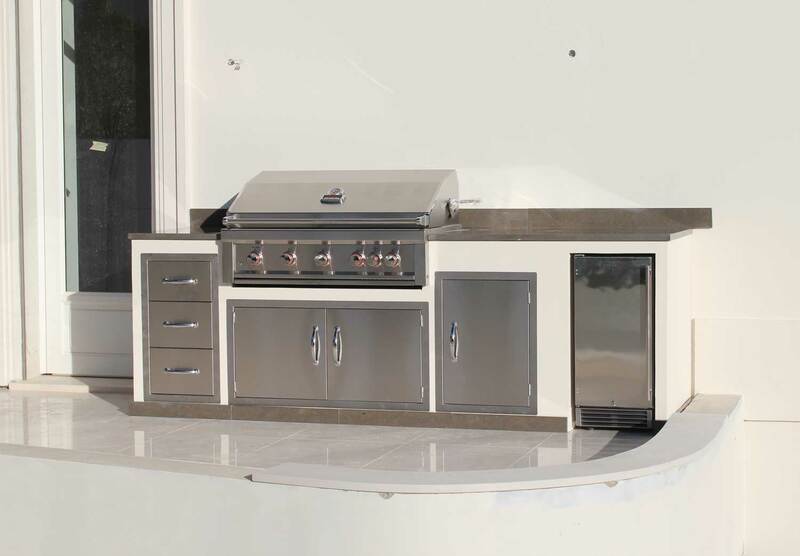 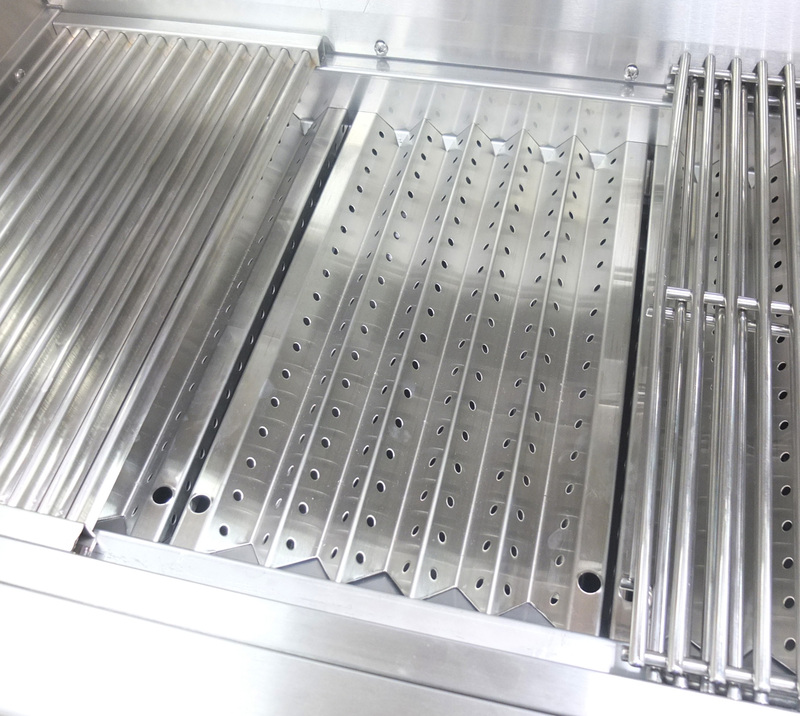 The cooking grids are Solid 304 Stainless Steel, with Exclusive Variable Rod Spacing, for larger items on the left and right sides and smaller items in the middle. 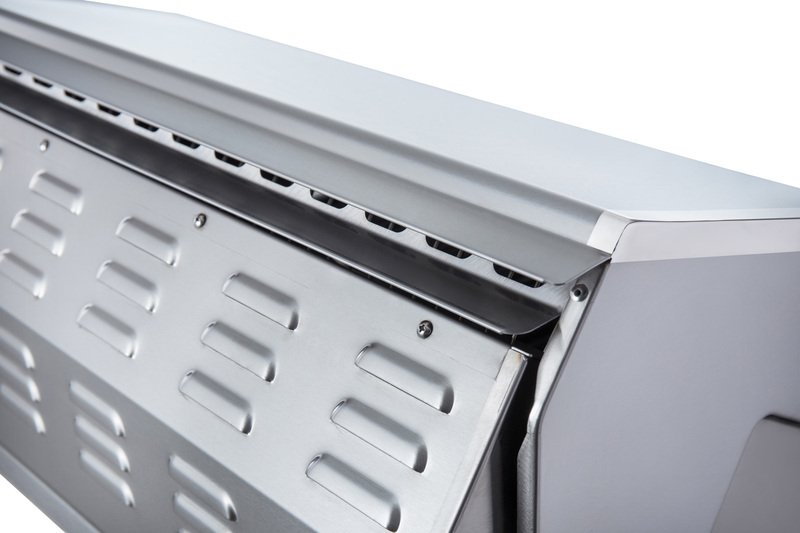 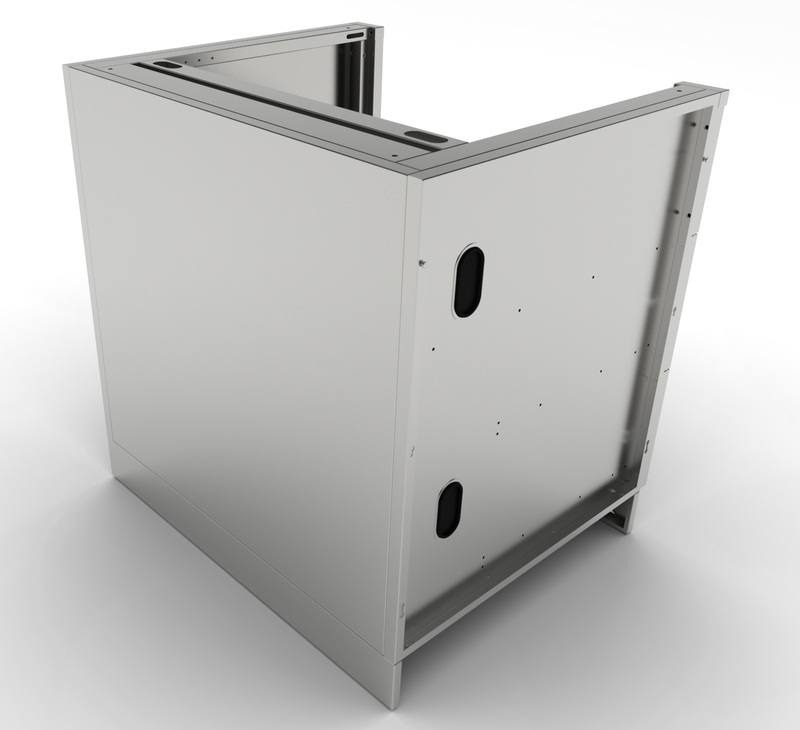 The Warming Grids are designed to work as a Heat-Riser, to push extra heat towards the front, creating an even heat distribution. 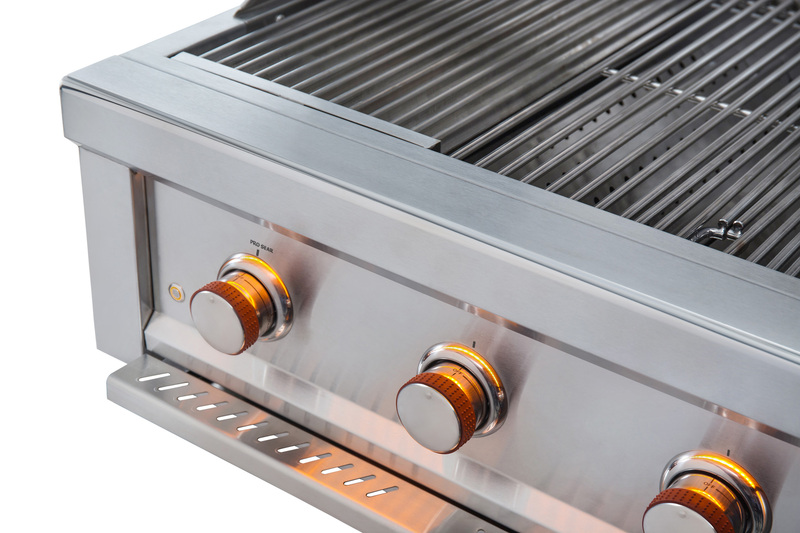 At the same time the angled warming grid sheds most Oils & Cooking Grease towards the back Spill-Away so you have less Flare-Ups. 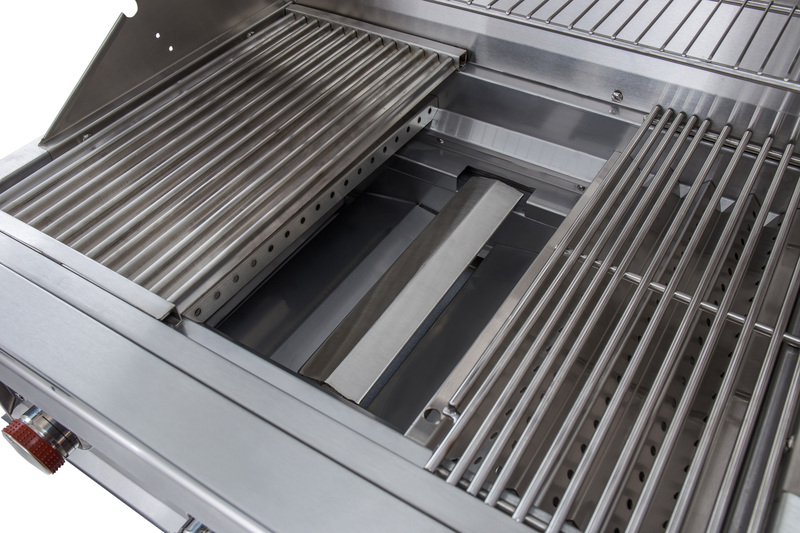 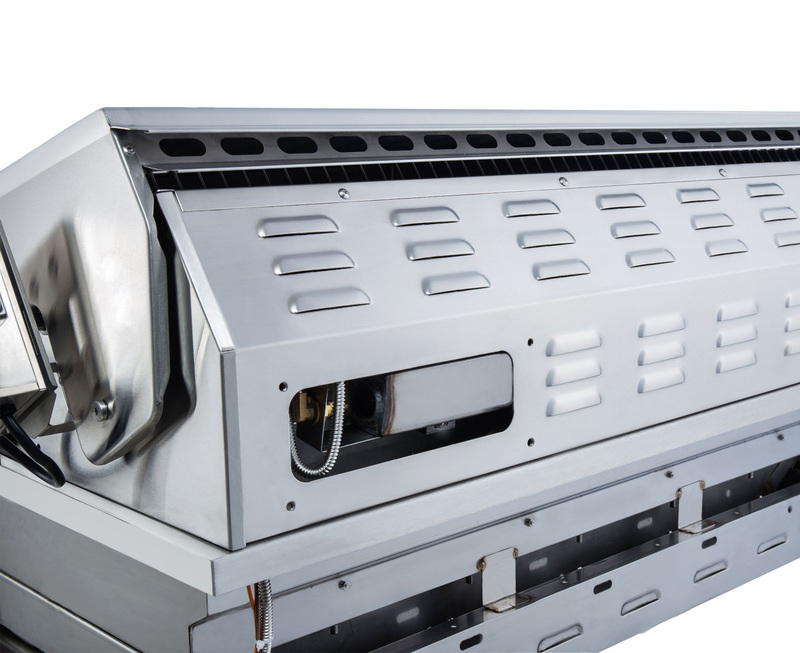 Exclusive Pro Sear Thermal Cooking Grid, transfers heat evenly across the cooking grid at up to 700 degrees with the hood up, and up to 800 degrees with the hood down all in under 3 minutes of heat up time and from a Single Burner.